I really do love mushrooms, sautéed, broiled, and grilled. 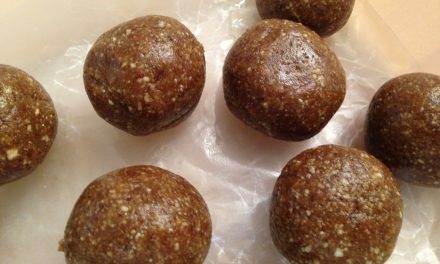 I like to coat them with fajita spices and serve them with rice and beans, or just grilled with a little olive oil and salt and served as a “steak.” They can be served as appetizers or entrees. Some folks like marinated mushrooms others just like them raw in salads. Whatever your favorite way to eat mushrooms is, nothing beats a delicious stuffed mushroom cap. I used to have to make these by the hundreds when working in banquets at the 5-star resort. They are the perfect bite to whet the appetite. I figured out a great way to veganize the traditional stuffing made from animal ingredients. This recipe includes protein-packed quinoa and, of course, all the good stuff that comes with mushrooms. I use the stems of the mushrooms in the mix to bring out that umami flavor. Adding a bit of fresh herbs and a little vinegar gives this appetizer a zing that fits in with any high end dinner party. It’s great to show off vegan cooking skills at this level. It shows the doubters that vegan food has its place in the world. If you have any questions about making this recipe, feel free to leave a question in the comments. I’m always available to answer cooking questions! 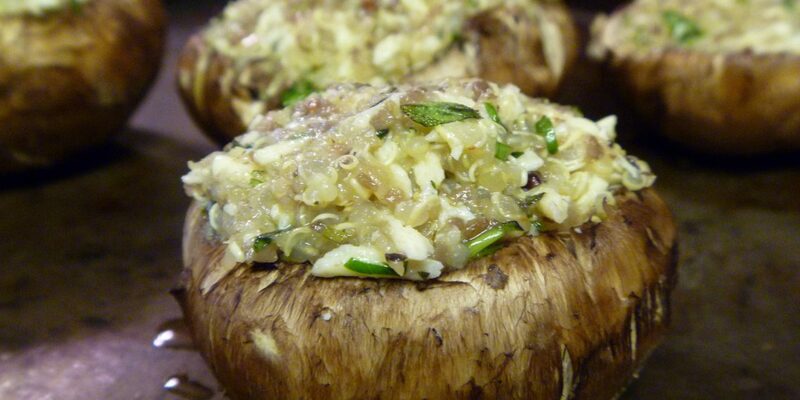 Mushroom caps stuffed with quinoa and duxelles, perfect as an appetizer or snack. These delicious little bites are made with vegan cheeses and margarine. 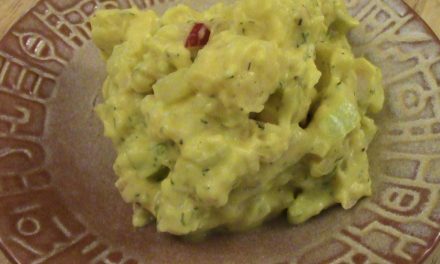 Perfect for your next vegan potluck. Remove the stems from the mushroom caps. Set aside. Lay out mushrooms on a sheet pan. Dice the onions and mushroom stems. Clean the thyme and mince just a bit. Heat up a skillet. Add in the sunflower oil. When the oil is hot put in the diced onion and mushrooms. Sauté for a few minutes and then add in the garlic. Sauté until onions are translucent. Incorporate the margarine. Season with a bit of salt and the minced time. This is known as duxelles, the term for mushrooms, garlic, and herbs cooked in butter. In a mixing bowl combine quinoa, duxelles and the mozzarella. Once mixed, drop the filling into the mushroom caps. Fill them to the top. 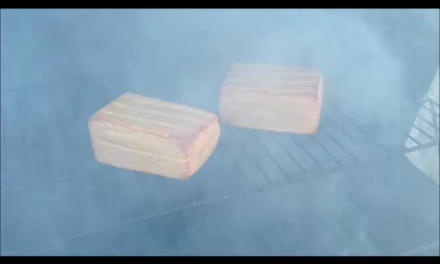 Heat an oven up to 375 degrees. 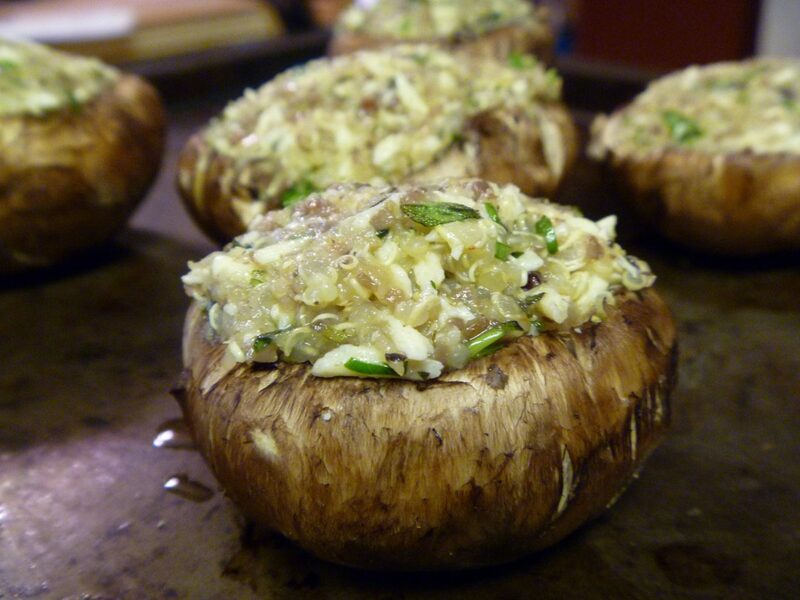 Cook the mushroom appetizers until the mushrooms are soft and oozing just a bit of liquid. Top with a bit more cheese and place under a broiler for 2-3 minutes until the cheese melts. Serve as an appetizer or snack. Be sure to make enough to go around. These little snacks don’t last long.